What kind of a pigeon was the NL08-1628683 from Ad Schaerlaeckens, many fanciers wonder. Was the bird just a chance product or was it something really special? Well, I can tell you that this pigeon was so extraordinary special that I for one can, and I am allowed to, write an extensive series of articles about it. The achievements and destruction that this bloodline has wrought at the large competitions defies even the wildest imagination. The 08-683 comes out of a daughter of the ‘ACE FOUR’ (B-96-5660145), which is precisely the pigeon that will be the main character in this sensational series. Together with his brother and sister, he formed the basis of a really super inheriting bloodline, which seems literally unstoppable. 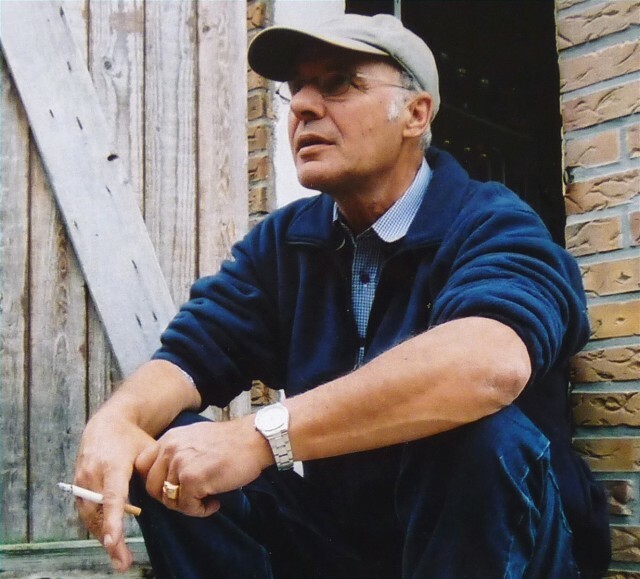 But we will start at the beginning, because before the ‘ACE FOUR’ began its career, Ad Schaerlaeckens already raced at the very top with pigeons that had in those days, the eighties and nineties, mainly the famous Janssen Arendonk blood in them. 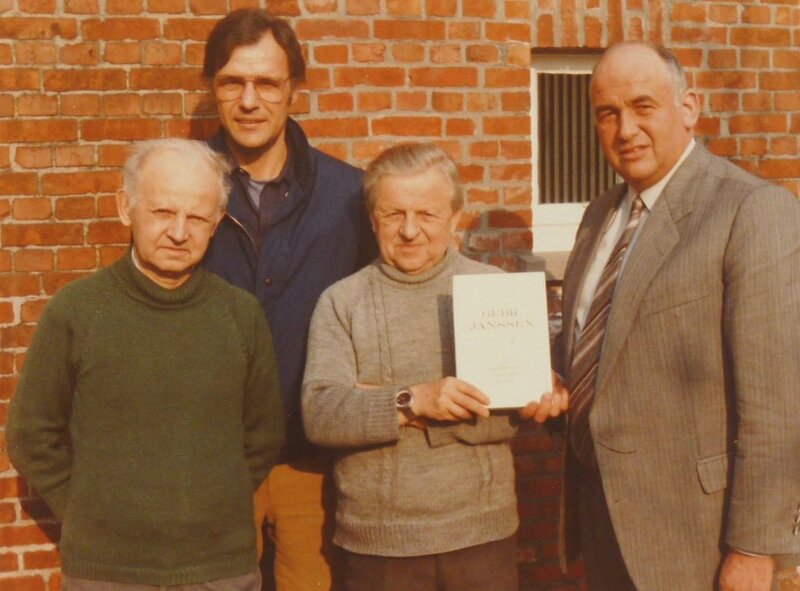 Ad Schaerlaeckens with the Janssen Brothers and R. Hermes, with whom he would publish the famous Janssen book. This is what Ad Schaerlaeckens wrote in the Janssen book. 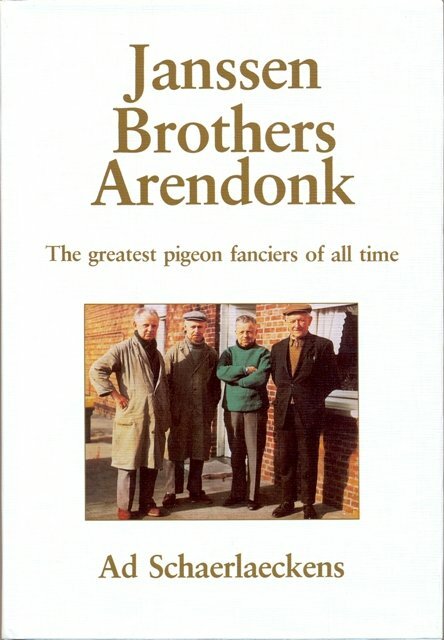 I would of course never make direct comparisons between the Janssen Brothers and Ad Schaerlaeckens, and Ad would certainly never want this too, but what he wrote in his introduction for the book is precisely what I experienced when collecting information about Ad Schaerlaeckens and his pigeons. I knew that there have been a great many, lead racers born with blood of his pigeons in their veins, but I had never expected it to be so ‘extreme’. I am convinced that the readers will agree with me after the end of this series, so many good pigeons have these lines produced over the years. The ‘Den Ad’ is just a foretaste of all the wonderful things that will come along in this series of summer-articles. Just as the readable buildup and opinions of Ad Schaerlaeckens about his breed of pigeons, this is also unique in the pigeon world. 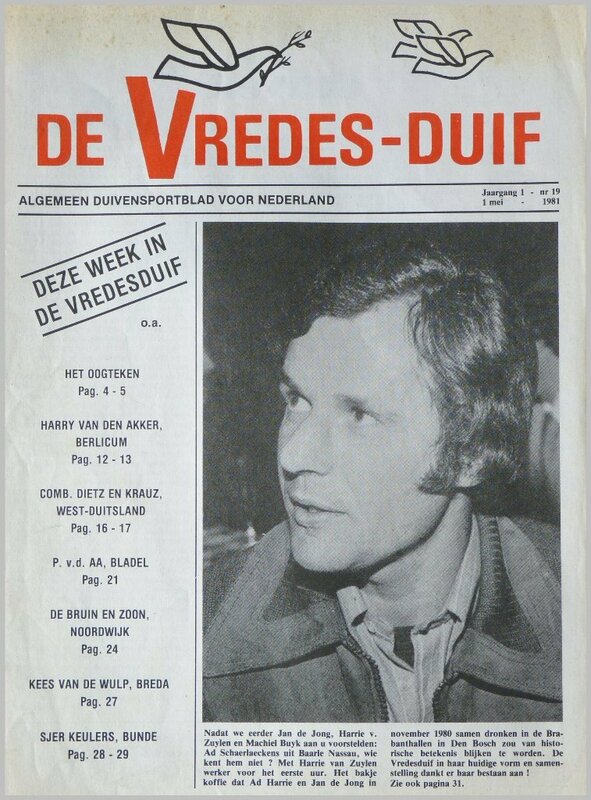 At an early age, Ad Schaerlaeckens reached superstar status, which he has always maintained. Ad had two hobbies, which was in the first place football, but pigeons also intrigued him very much. Because of his young age, he had a boundless energy which he could work off well playing football. He was quickly spotted as talented, both locally and regionally. 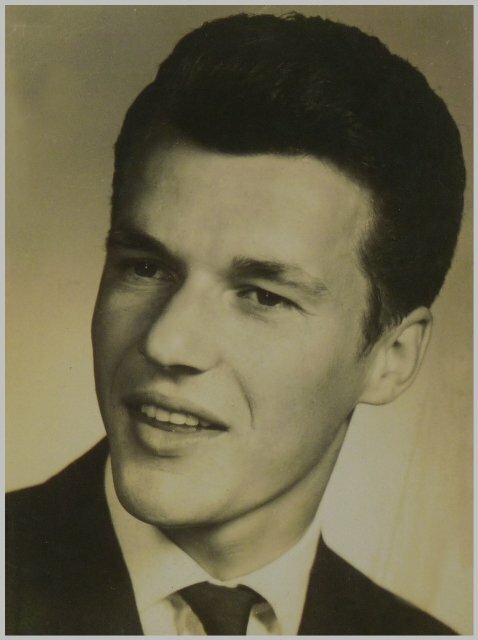 It did not take long before he started dreaming of a career as a professional footballer, and he seemed to be well on course towards that goal. Until a scout from a professional football club came to a regional football tournament and, contrary to what Ad hoped, did not select him for a youth contract. Ouch, Ad found that difficult to handle because of his winning attitude. He felt so bad about it that he decided never to touch a ball again. This decision would have a major influence on the rest of his life and would ultimately bring him to where he is now. At about twenty years of age he definitely choose the pigeon sport as his most important hobby, he felt happy with it and tried to become as successful as possible. Ad Schaerlaeckens at about 20 years of age, in which period he made the decision to focus entirely on pigeons.